The sculpture of ardhanarishwara is one of the most unique sculptures ever conceived. 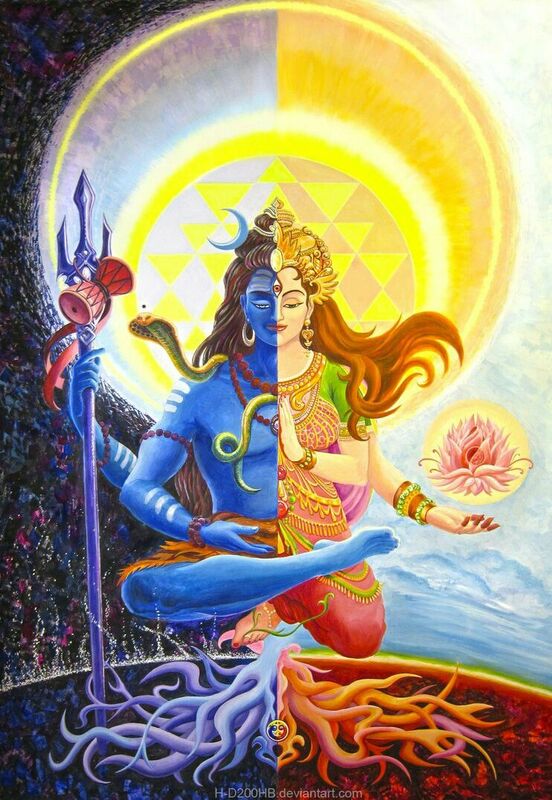 It depicts the union of shiva and parvati. The story behind the making of this sculpture goes as follows. Sage Bhringi was an ardent devotee of lord shiva, but he never considered parvati to be a part of his worship. As always, sage Bhringi meditated on lord Shiva. The sage regularly worshiped lord Shiva at his abode in the Kailasa moutain. at the end of his worship he would religiously circum-ambulate Shiva. On one of these regular occasions, Parvati observed him and moved up close to Shiva so that bhringi would have to go around both of them instead of Shiva alone. Sage bhringi noticed this, and realizing what had just happened, he turned himself into a bee and went around shiva thrice. This enraged Parvati and Shiva noticed what had happened. In order to teach bhringi a lesson that parvati is a part of him and cannot be excluded, he merged himself with parvati such that bhringi would have to circum ambulate both instead of just him. The sculpture depicts the same form that shiva aquired in order to let bhringi know that he is incomplete without parvati. An add on: bhringi is often depicted as a skeleton in most images, this is because parvati having noticed that bhringi did not go around her, cursed him in fury to become thin and completely emaciated, so weak that he could not stand. shiva, moved by bhringi's plight, gave a third leg for support.